One fine day, we found everybody in Punjab singing. On yet another, we found most of them acting in front of the camera. And then we saw every singer was acting! Finally, we saw a non-singer joining the bandwagon and walking away with accolades. 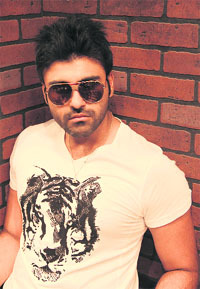 The success of Jatts in Golmaal has brought Aarya Babbar into the race. In an industry dominated by singer-actors, Aarya along with others, who are either ready or have already made an impact on Punjabi cinema, have only sung in the bathrooms! He is a versatile actor, someone who can make you laugh and cry at the same time. He can lift his character with his improvisation skills. you saw him in: YaarAnmulle, Burraah, Daddy Cool Munde Fool. watch out for him in: Vyah 70 km, RSVP. his strength: I am comfortable in every kind of role. Due to a theatre background, I can adapt to any character. I am different in all kinds of roles. The doe-eyed actor has explored all spheres of acting; in advertisements, music videos, television serials (Mohe Rang De) and of course films. He was last seen in Pinky Mogey Wali opposite Neeru Bajwa. debut movie: Yaaran Naal Bahaaran. you saw him in: Mehndi Waley Hath, Tere Ishq Nachaya, Pinky Mogey Wali, Ek Tha Tiger (Bollywood) and Fear Factor (Winner of Asia title). his strength: I am passionate about Punjabi cinema, which shows in my work. I am a director’s actor so I work accordingly. I don’t think the real actor in me has come out yet. you saw him in: Yaar Anmulle, Jatts In Golmaal. 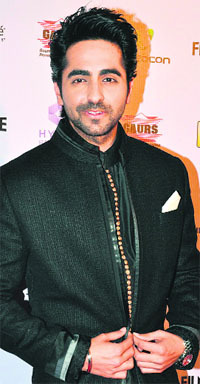 watch out for him in: Naughty Jatts, Heer and Hero. his strength: I can mould myself according to the character. He fits in the category of a tall handsome man. After doing a dozen of music videos, Kartar is now all set for his next big release. 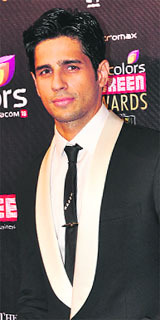 you saw him in: Kaun kise Da Beli, Sayasat, Mitti, Tere Naal Love Ho Gaya (Bollywood), Kabdadi Ek Mohabat and Yaar Anmulle. watch out for him in: Sikander. 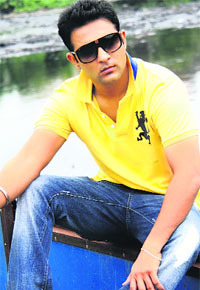 He was a part of almost every Punjabi music video at one point of time. His long hair would make him stand out though he loves to experiment with his hairstyle as well as looks for all the movies. debut movie: Ek Kudi Punjab Di. you saw him in: Ajj De Ranjhe, Jodha Akbar (Bollywood movie) and Coffee House. He has also done a movie Down South with Mahesh Babu. watch out for him in: Putt Jattan De. his strength: An actor should be able to entertain; I think I am a complete package in that respect. I can act, I can fight, and I make the audience laugh. The suicide by Bollywood actor Jiah Khan has once again not only shocked B-Town, but the nation at large. Is it the dark side of the world of glamour? The reflective sheen of the glittering surface ought to spell darkness somewhere. Bollywood is an industry of the cash cows, where fortune is more important than virtues and success is respected more than talent. Its latest victim, Jiah Khan, adds to the sad suicide statistics of Bollywood and goes onto become yet another case study on the flipside of tinsel town. Once in a while, an incident sends ripple across the still surface and exposes the murky waters beneath. There is a lot to battle and balance out in daily life. “First of all, every Friday your fortune changes and if you can’t achieve a certain level, the pressures seep in. Moreover, if you are an outsider in the industry and in the city, everything is depressing about life, right from the lifestyle, crowds, standard of living, pigeon holes etc,” actor Gavie Chahal, in Mumbai for seven years now, recalls his initial days. He adds, “I have a lot of friends who don’t have any work for the past two-three years. Plus in Mumbai, life is stressful; every hour. Though personally what she was going through, only she could tell.” For those of us outside, it’s a guess between the failed relationship and a still career graph. An artist’s creativity is best articulated by his ability to look beyond reality. Defining the compound shades of life, both real and the surreal, Vibrations, a group exhibition, displays the works of over 16 artists at the Punjab Kala Bhawan, Sector 16. While taking due credit for his work, he says, “I make landscapes because considering the extent of commercialisation, I don’t think that our future generation would get to see nature and its beauty,” he explains while pointing towards his paintings that were painted on the spot, which include the scenic views from different villages that he visited. As you advance towards the other wall, the tribal art work by Suhani Jain intrigues you. 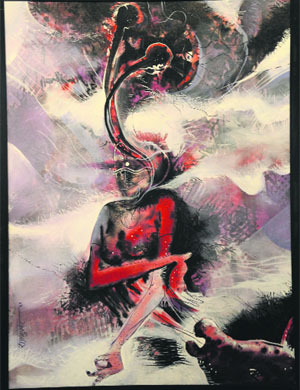 “I am a feminist and these paintings portray the nari shakti,” she says while adding, “I make use of ink on acrylic while painting.” Meanwhile, Tornado, an abstract painting by Gwalior-based artist Navkas plays upon different shades of light and darkness. This is his only painting at the gallery and it is priced at Rs 20,000. As you progress towards the realistic portraits by Mustajab Shelle, you are delighted at the thoughts that consume him while he paints. “I paint portraits for the sheer aesthetic value,” he says while looking critically towards his painting, Apsara, showing a woman, whose beauty is being accentuated with ornaments by her maid. The Amroha-based artist has painted several portraits, including the village life in Rajasthan and the portrait of Sarojini Naidu. The exhibition displays the tantrik artworks by Manoj Singh, realistic contemporary paintings by Krishan Soni, abstract figurative art by Raj Kumar Singh and folk art by Shweta Aggarwal. Also, Shiva Abhishek, the meditative art by Vishal Sharma provokes one’s spiritual insight, while Sandeep Kumar’s abstract art kindles one’s imagination. Meanwhile, Rajeev Kumar, Sanjay Dayanand, Juhi Shukla, Runa Shelina, Monika Saroch and Madhu Priya’s works are not only expressive, but also have some interesting elements that are highlighted with various mediums. The best thing about theatre is the liberty you have to introduce changes whenever you feel that the play isn’t going the way you want it. The irony of life is that, unlike theatre, it doesn’t really give you a clean slate to start all over again, sometimes not even a fair second chance. This is what sums up Madhur Kapila’s new novel Saamne Ka Aasman. 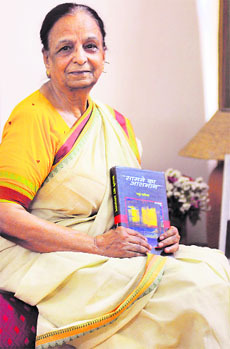 She established her name as a writer at the age of 14, with her novel named Bhatkey Raahi which was soon followed by Saatva Swar. How did she pick up a topic like that at such a tender age? She replies, “True, I didn’t have experience in life to write about, but I had the passion to. I had seen enough of transition in my time.” Now at the age of 71, her expedition continues. About the title Saamne ka Aasman, “Just like you know that the sky is not just about the portion which is visible to you, there is so much more to life too. It’s for you to explore the other side of life that may not be perceptible to you otherwise,” says Kapila. Talking about the quality of writing, Kapila says, “It’s only the legendary work that reverberates throughout, for instance, the work of Premchand.” Kapila has also followed Pandit Jasraj for a couple of years and has written a book about his life. “It’s yet to be published, I am waiting for his approval.” Interestingly Kapila has also acted in a documentary, “but writing remains my goal in life,” she adds. The glamourous industry of Bollywood owes a lot to the Miss India pageant; a talent house which has produced some of the biggest film stars. The names include Nutan, Zeenat Aman, Juhi Chawla, Meenakshi Seshadri, Sushmita Sen, Aishwarya Rai, Lara Dutta, Mugdha Godse, and Priyanka Chopra. Moreover, like many previous beauty pageant winners, she comes from the Army background. Rakul won various titles in the Miss India pageant of 2011. She bagged Miss India People’s Choice, Miss Beautiful Eyes, Miss Beautiful Smile, Miss Fresh Face, Miss Talented and emerged the third runner-up finalist. Her die-hard interests include horse riding, Bharatanatyam, and hold your breath; golf too. Now, now! How many Bollywood actresses would have engaged in playing golf? But if you think, that’s enough for Rakul, you are mistaken! The girl is a fitness freak with gymming and swimming being her daily addictions. She’s a blue belt in karate, plays cricket, basket ball and lawn tennis. And wait, did we tell you, she’s particularly proud of her 36-24-36 figure! Ayushmann Khurrana talks about everything but films—from his friends to his son to education and his belief in the supernatural. I majored in English literature but I will never read Shakespeare again. I never understood him but that could be because I used to bunk my classes a lot. I once played Shylock in our rendition of Merchant of Venice and I had to read the play so many times that I do not want to go near it again. We just had a get-together in Chandigarh. We are still making some amazing memories together. We used do 48-hour train journeys from Chandigarh to Mumbai in second class compartments of Punjab Mail. We used to jam with dholaks and guitars to entertain ourselves as the train would stop at every station. Other passengers were impressed by our music and they would give us money, especially 100 rupee notes and that would fund the rest of our trip. I love Punjabi, Mughlai and Chinese food. My most favourite dish is rajma chawal. If I had to pick a restaurant dish, it would be chicken curry at Pal Dhaba in Chandigarh. My son's name is Virajveer and he is only a year old. He has my eyes and my dimples and the rest he takes from my wife. I cannot really indulge him at the moment as he is too young. I am still getting used to the 'dad' thing and I have been so busy in the last year that I have not spent enough time with him. I am a believer in the supernatural but not in the negative forces. My Man Friday committed suicide in my room and I still sleep there and stay in the same house. Initially, I had moved in with Shoojit Sircar because the death was a huge shock for me. It was an emotional loss. And at that time my schedule was such that it was more convenient to travel from Shoojit's place instead of mine. Siddharth Malhotra is shooting in Madh Island for Hasee Toh Phasee and he takes the ferry ride everyday to reach there from Versova as it only takes a couple of minutes. He is more than happy to sign autographs and pose for pictures with people who ask him to do that. Yeh Jawaani Hai Deewani may have got mixed to positive reviews but the film has made Rs 62 crore in its opening weekend itself, making it the biggest hit of Ranbir's career and his biggest opening. Its collections have surpassed the Dabangg movies' opening as well. Karan Johar has confirmed that Ranbir Kapoor will star in his new film which will begin next year. The rest of the cast is not confirmed. Ranbir is currently busy with the Kashyap brothers' movies like Besharam and Bombay Velvet. Karan will fly to New York later this year to write the script of the movie with his team of writers. 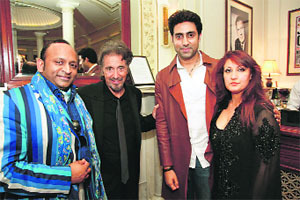 Abhishek Bachchan attended Al Pacino's An Evening With Pacino, a one-man act in London recently. The actor later got a chance to meet Pacino. In the show, the international star not only re-enacted famous scenes from his cinematic classics like The Godfather, Scent Of A Woman and Carlito's Way, reminiscing about his illustrious career but also had a live question and answer session. Being a fan of his work, for Abhishek Bachchan, watching Pacino perform live was a dream come true. Interestingly, when Abhishek Bachchan had got stitches above his right eye after an injury during the shooting of Bol Bachchan, he had joked that how he had got Pacino's scar face look. Parineeti Chopra suffered a mishap on the sets of Hasee Toh Phasee. There was a close up of her hand being shot and the camera box hit her face, knocking her unconscious. Her face and the area near her eyes started bleeding and they had to put an ice pack. She continued shooting as the scene did not require the use of her face. The other shoots had to be rescheduled. Shruti Haasan is cementing her place as an actor in Bollywood and down South and she has had no time to focus on her musical career. She wanted to shoot a music video for one of her songs but has not been able to do that so she hopes she gets some time off soon and can shoot her video. Diana Penty may not have movies on hand but she is getting many endorsements. She endorses one hair-care brand has been signed on by another shampoo brand that wants to enter the Indian market. She was chosen after a survey because of her lovely long dark hair. R Balki is working on a script which will bring Shah Rukh Khan and Amitabh Bachchan together on screen again. They have previously worked in Mohabbatein, Kabhie Khushi Kabhi Gham and Bhootnath. Amitabh Bachchan is Balki's favourite and he wants to work with SRK too. This film is still in the initial stages. The man behind shows like Bidaai, Ye Rishta Kya Kehlata Hai, Kuch Toh Log Kahege and Amrit Manthan–Rajan Shahi, the owner of Directors Kut completed two long decades in the industry recently. Kanchi Kaul will soon return to TV with a brand new show. She will make a comeback after four years. She was last seen in the show, Maayka. Read on for more details as she spills out her reasons for come back and about her role. You are back after four long years. Where were you? I was around but I was busy doing southern films and advertisements. I wanted a break because I had been working for a long time. Tell us something about your up and coming show. The show, as the title suggests, is about the relationship between a nanad and a bhabhi. Instead of showing their relationship in a bad light, we have highlighted the strength of their relationship and how it can be very comforting. I essay the role of a married woman, Shradha, whose life changes and her family comes through for her. The show has a great storyline and amazing characters and I’m hoping that people would like it. These days when a newbie gets to essay the lead roles, do you feel lucky to have bagged this show? If you are talented and hard working, it doesn’t matter whether you are a new or an experienced person. I believe that work always comes along to speak volumes about you. There are so many shows on TV that there’s scope not only for the amateur actors, but also for the experienced ones. Do you think television has changed since you left? Television is still as exciting and nothing has changed for me. I really feel good to be back. Why are you an introvert when it comes to talking about your personal life? My husband, Shabbir Ahluwalia and I, like keeping personal things private. We are happy to let our work do all the doing the talking! Gautam Rode, the lead in Sanjay Leela Bhansali’s show, Saraswatichandra, had a very interesting mock shoot. We hear that the actor had to perform to a scene from the film, Hum Dil De Chuke Sanam, but in Saraswatichandra style. When we quizzed the actor about this, he said, “Yes it was a challenging mock shoot. I had ventured upon it thinking that I would be speaking more with my body language because Saraswatichandra is an introvert. However, I was given Salman’s scene from Hum Dil De Chuke Sanam and was asked to enact it. Initially, I was a little surprised as both the characters are completely opposite. Well, we look forward to it Gautam! In the up and coming episodes of Veera, Ranvi decides to bunk school. Ratan refuses to eat food and throws the food out of the window which falls on Veera. Later, Ranvi sees a tiger in a farm and runs away from there. He tries to tell this to the people of Preetampura. Kushal Punjabi was on a sabbatical and he will soon be seen as the super villain in the show, Hum Ne Li Shapath that will be telecast on Life ok. He has been travelling and partaking in as many adventure sports as possible. The latest that he has ventured upon is riding a bike to the highest motorable road in India. Sayantani Ghosh, who is busy with the shooting of her up and coming Bengali horror film, is in the state of shock because, Abir Goswami, her opposite lead passed away recently. They had already shot over 70 percent of the film and had also planned to meet up for a film in the evening. In the up and coming episodes of the show, Saath Nibhana Saathiya, Urmi loses money in betting with Nikky aunty and plans how to score in order to get that money back. Meanwhile, Gopi feels bad when she sees Urmi behaving badly with Meera as she feels that she has an upper hand because her daughter gave birth to two boys. Pooja Gor celebrated her birthday with her family and friends. Her parents came from Ahmedabad while Kritika Kamra, Karan Kundra, Soumya Seth and of course her boyfriend, Raj Singh Arora, celebrated her birthday with an elaborate birthday party and a beautiful birthday cake. Meanwhile, Raj gifted her jewellery that was matching with outfit.